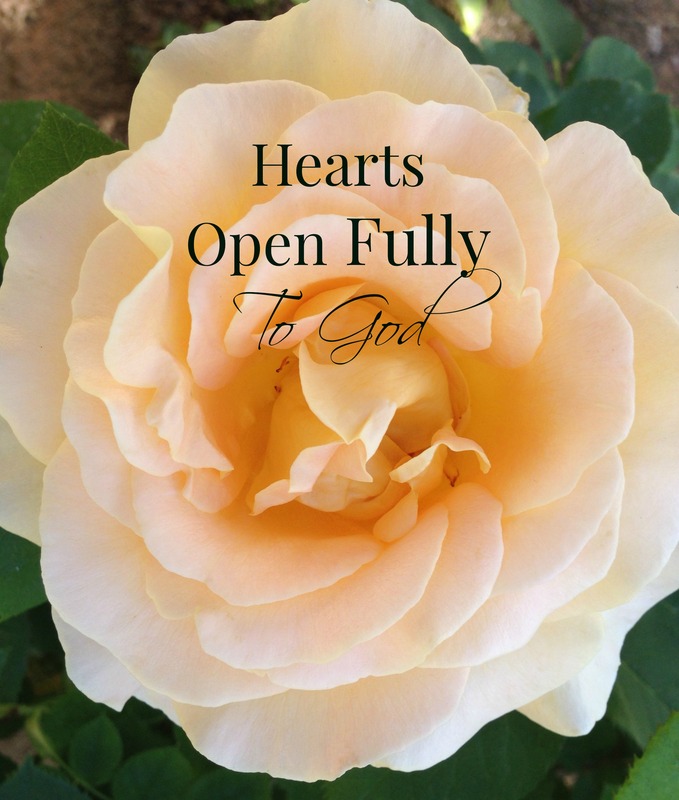 Roses are in full bloom and reminding us everyday to open our hearts fully to God. If we’re willing, His beauty and divine fragrance will permeate our lives. Real spirituality energizes our lives bringing us to full bloom. God’s great wish for me and for you is abundant life. A really full life! It stands to reason that we can’t get close to God without being changed, deeply changed. It’s that or make a run for it. Or in Peter’s case, try to send Jesus far away. That’s just the sin talking. And Jesus knows how to deal with our sin so that we can share our lives with Him. He encouraged Peter and told him not to be afraid, from now on he was going to be changed. There’s a new opportunity opening up for Peter. Jesus was going to walk him through it and he would do great things for God. Getting up close to God changes us deeply. Knowing what He’s like and what He’s up to in the world touches a part of us and literally makes us bloom. We’re longing for it and for Him. Peter’s experience was like Isaiah’s. Taking in the heavenly scene Isaiah knew he was not suitable, not righteous. He longed to answer God’s call, but he knew he wasn’t ‘qualified’. Then God took care of it for him. An angel carried a burning coal from the altar, touched his lips, and purged his sin. Don’t recoil from God because of your weakness. Get close enough for His touch to make the change you long for and that only He can make. Like a fluffy pillow, I could fall to take a nap, Dreaming of the importance in life. Such a good idea! Relax into God and let Him give us rest and make us truly useful in the kingdom. Ahhhh, yes. Wishing you a good weekend, Kelly. Comforting post Kelly. Thank you!!!! Thanks Levi 😀 Have a wonderful weekend! Amen. He says come close to Me and I will draw close to you. Beautiful rose and prose – lovely thoughts and reminders. Just what I needed to end my week. Thank you for this elegant post. Thanks Beth, BTW I love your Gravatar photo. Very artistic. “Don’t recoil from God because of your weakness. Get close enough for His touch to make the change you long for and that only He can make.” This is a subject that I have been pondering a lot about lately–how we can use our weaknesses to turn to God and how HE can help us change from within and overcome them. I loved coming across your post! It was just what I needed ♥ Thank you for sharing and inviting others to come closer to Him! My pleasure Lauren. Thanks for the visit and kind words.